With the cost of group healthcare on the rise, employers are switching to a defined contribution solution to reimburse individual health insurance as an alternative to group health insurance. Individual health insurance premiums can be reimbursed tax-free through a premium reimbursement plan. Although employers are seeing the benefits of switching employees to individual health insurance, according to a recent poll by The Morning Consult, a majority of employees are worried about their employers moving them to the Marketplace. 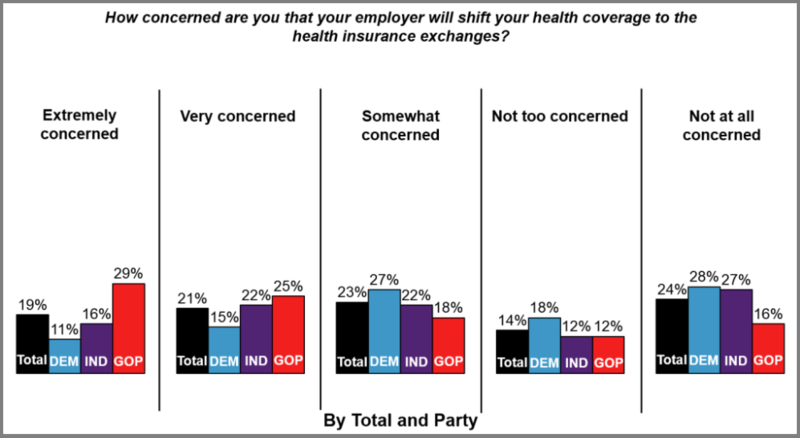 This article reviews the concerns highlighted in the poll, and provides tips to smoothly transition employees to individual health insurance. 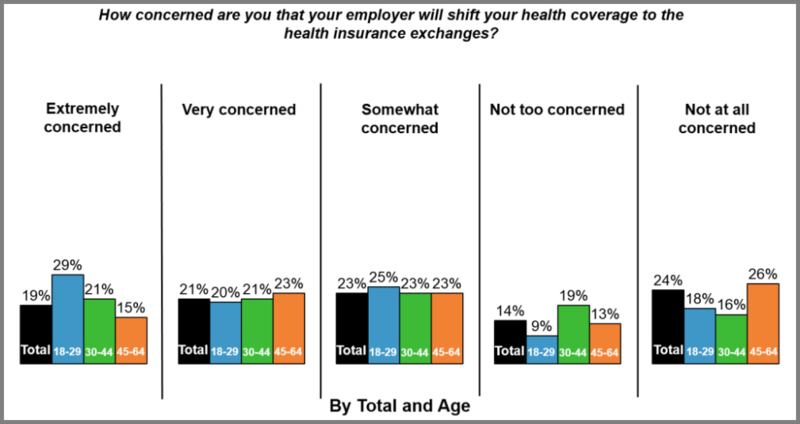 Concern about being switched to Marketplace coverage also varied by age. The 18 to 29 year old age demographic expressed the most concern (74 percent). The number declines in the older demographics. The concern was expressed by 65 percent of individuals age 30 to 44, and 61 percent of individuals age 45 to 64. When transitioning employees to individual health insurance, there are several things to keep in mind to ensure a smooth transition. When an employer cancels a group policy, all those covered will be eligible for a special enrollment period for individual health insurance. This means they are eligible to purchase individual health insurance outside of the annual open enrollment period. Coverage of pre-existing conditions (employees cannot be denied coverage or charged more because of a medical condition). Employees may keep their policy when switching jobs. Employees can choose the policy that best fits their family’s needs, including the network of providers and level of coverage. Individual health insurance costs less, and employees may be eligible for a premium tax credit to assist them with the cost of monthly health insurance premiums. Many employers want to help their employees with the cost of their individual health insurance premiums. Employers can reimburse employees tax-free for their premiums by implementing a premium reimbursement program. To set this up, the employer first needs to decide how much they will contribute toward employees’ health insurance expenses. This allowance, or “defined contribution,” can be the same for all employees, or it can differ depending upon employee class and/or family status. If employees are properly transitioned from a group health insurance plan to an individual health insurance plan, they will be able to see the many benefits individual health insurance can offer. Do you have any questions on transitioning your employees to individual health insurance?